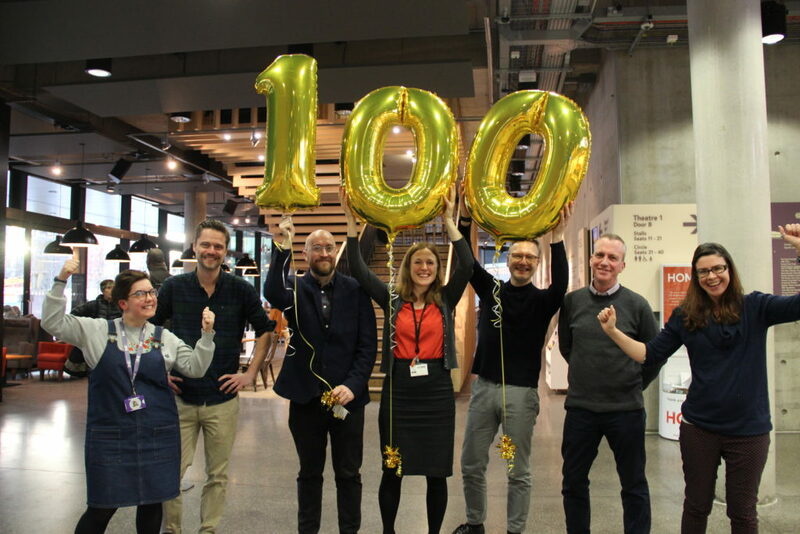 Theatres Trust awards 100th grant to Greater Manchester Theatres Consortium! We’re delighted to be the recipient of Theatres Trust’s landmark 100th grant to improve access for the local deaf and deafened community. This crucial funding will enable us to work in partnership with the The Lowry, Royal Exchange Theatre, HOME, Contact, Oldham Coliseum and Octagon Theatre Bolton to purchase and share captioning equipment. Thanks to Theatres Trust, we will be able to increase the number of captioned theatre performances we present significantly and open up opportunities for deaf and deafened audiences to experience a greater variety of theatre styles, including studio theatre work and site-specific performances. It also means that smaller participating theatres in the region will be able to begin captioning performances for the first time. Liz O’Neill – Chief Executive/Artistic Director: This award to bring captioning to Manchester audiences demonstrates the strength and union of the performing arts sector in Manchester. What’s brilliant about it is that audiences who require captioning support can now access the service at every major theatre in Manchester, and what I like best is that children and families also get to benefit.